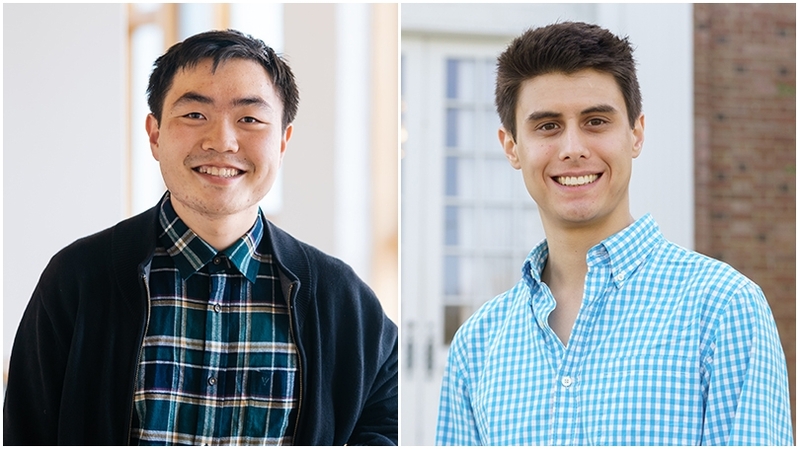 Christopher Kymn ’18 and Trevelyan Wing ’14 have been offered fellowships to study in Germany next year through the Deutscher Akademischer Austausch Dienst (DAAD), the German Academic Exchange Service. The DAAD supports programs and funding for American and Canadian students, faculty, researchers, and others in higher education to study in Germany, promoting international cooperation. Wing will use the DAAD to conduct doctoral work at the University of Heidelberg. His research, on Germany’s transition to renewable energy, began at the University of Oxford, where he earned an MPhil in environmental change and management in 2017.